Wow, we can’t believe 2017 is already over! Before going on our Christmas break we’d like to share an overview of the past year here at Sketchfab – things we did, but more importantly: what YOU achieved this year. For each month, we picked a story and a model that stuck with us. As always, THANK YOU for making this such a fabulous year. PS: Looking for something to do during the holiday? Why not turn your New Year’s resolutions into 3D? Featured model: Intrepid Explorer by simons. On a more serious note, Vice illustrated their article ‘What Would Happen in the Minutes and Hours After North Korea Nuked the United States?’ with a Sketchfab model of a Korean missile which was in our top 10 most viewed models for over three months. Often requested by 3D scanning artists, we improved our support for point clouds in February. We also worked with Porsche for many months on their new Porsche Panamera campaign. In March we celebrated our fifth birthday. And as we were looking through our data we realised a mind-boggling 100 million people had visited Sketchfab until then! The University of Leicester in the UK posted a 3D scan of the grave of King Richard III and it made its way around publications all over the world, quickly collecting over 85,000 views. A lot of people fell for our April fools announcement: Sketchfab Offline has Arrived! We had a lot of fun with this one, and even built a flipbook app that you could use to print out your own ‘offline’ models. Give it a try! Sketchfab joined the ‘Big3D’ partnership in May. Once complete, it will allow us to share massive 3D models online, allowing for the digital preservation of endangered cultural heritage sites around the world. July marked the start of a long list of new features. That month, we added support for sound and released an app for both iOS and Android! To top it all off, we reached 1 million members – a good month indeed! To celebrate our sound launch, we co-produced the wonderful short Lily & Snout with Artella. Watch it in VR if you can! In August we started supporting the new glTF file format, which is quickly becoming the standard file transfer format for 3D, AR and VR assets. This instantly made us the largest glTF repository in the world! Two other long-awaited features got added in September: browsing models in Augmented Reality (AR) on Apple devices using ARKit and Sub-Surface Scattering (SSS), a new shader that simulates translucency. See SSS in action on this amazingly realistic 3D scan. Looks like we just crossed the uncanny valley! Students told us they often use Sketchfab to study 3D models and improve their skills. With the release of the Model Inspector in October we made this a lot easier – you can now ‘inspect’ every detail of a model. Give it a try on the model below! The same month we also launched a design contest with the good people at Mozilla – focused on producing assets for creating WebVR worlds. 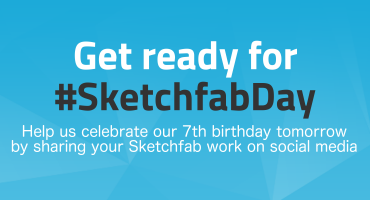 With close to 300 participants, this was the largest contest on Sketchfab to date! Take a look at the winners to explore their Medieval Fantasy worlds. In November we broke through 2 million models (ok, we’ll stop obsessing on numbers after this!). We also added AR support to our Android app as Google made ARCore available. In cultural news, French RMN Grand Palais museum used Sketchfab for a digital exposition on Gauguin. Thank you for all you have done to improve this year for me and all that you are going to do in 2018. 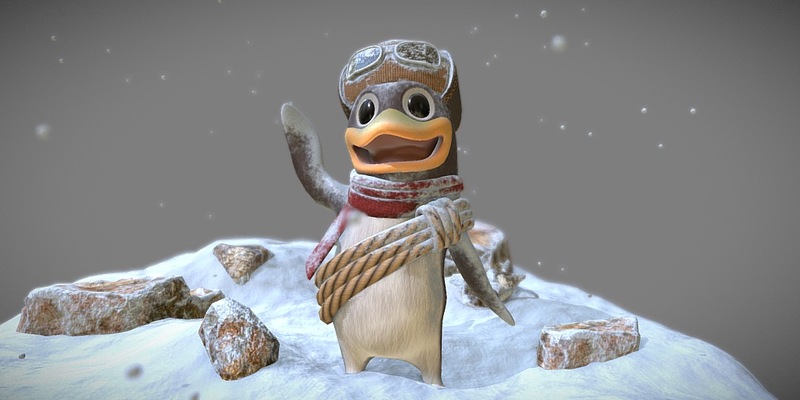 Mio profilo in 3D, che si può fare? Francesco, I’ll reply by email. Hey Francesco, I’m sorry but I don’t quite understand your question. How can we help you? This year at TU Delft, we developed an online course that made use of Sketchfab. Looking forward to working with Sketchfab in 2018! Wish you a happy and creative new year!